A new NCHS report presents estimates of expenditures on complementary health approach use among the U.S. population. Estimates are presented for adults and children separately and combined, as well as stratified by type of approach and family income. An estimated 59 million persons aged 4 years and over had at least one expenditure for some type of complementary health approach, resulting in total out-of-pocket expenditures of $30.2 billion. More was spent on visits to complementary practitioners ($14.7 billion) than for purchases of natural product supplements ($12.8 billion) or self-care approaches ($2.7 billion). The mean per user out-of-pocket expenditure for visits to a complementary practitioner ($433) was significantly more than for purchases of natural product supplements ($368) or for self-care approaches ($257). Adults had higher mean annual out-of-pocket expenditures for visits to complementary practitioners than children ($442 and $291, respectively). Total out-of-pocket expenditures and mean per user out-of pocket expenditures for complementary health approaches increased significantly as family income increased. The mean per user out-of-pocket expenditure for complementary health approaches was $435 for persons with family incomes less than $25,000 and $590 for persons with family incomes of $100,000 or more. 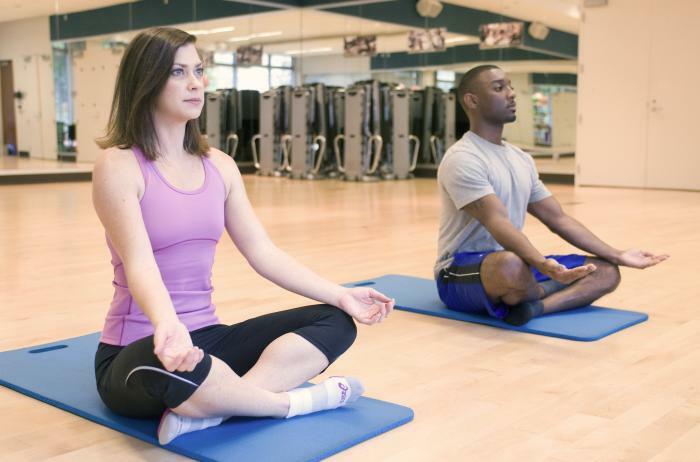 A new report presents national estimates of selected wellness-related reasons for the use of natural product supplements, yoga, and spinal manipulation among U.S. adults in 2012. Self-reported perceived health outcomes were also examined. Data was taken from 34,525 adults aged 18 and over collected as part of the 2012 National Health Interview Survey were analyzed for the report. In particular, whether adults who used selected complementary health approaches did so to treat a specific health condition or for any of five wellness-related reasons was examined, as well as whether these adults perceived that this use led to any of nine health-related outcomes. Users of natural product supplements and yoga were more likely to have reported using the approach for a wellness reason than for treatment of a specific health condition, whereas more spinal manipulation users reported using it for treatment rather than for wellness. The majority of users of all three health approaches reported that they perceived this use improved their overall health and made them feel better. Yoga users perceived higher rates of all of the self-reported wellness-related health outcomes than users of natural product supplements or spinal manipulation. Two new reports from NCHS, Trends in the Use of Complementary Health Approaches Among Adults: United States, 2002–2012 and Use of Complementary Health Approaches Among Children Aged 4–17 Years in the United States: National Health Interview Survey, 2007–2012, present national estimates of the use of complementary health approaches. The complementary health approaches among adults report looked at three time points. Trends in the use of selected complementary health approaches are compared for 2002, 2007, and 2012, and differences by selected demographic characteristics are also examined. For this report, the definition of any complementary approach included the use of one or more of the following during the past 12 months: acupuncture; Ayurveda; biofeedback; chelation therapy; chiropractic care; energy healing therapy; special diets (including vegetarian and vegan, macrobiotic, Atkins, Pritikin, and Ornish); folk medicine or traditional healers; guided imagery; homeopathic treatment; hypnosis; naturopathy; nonvitamin, nonmineral dietary supplements; massage; meditation; progressive relaxation; qi gong; tai chi; or yoga. Nonvitamin, nonmineral dietary supplements were the most commonly used complementary health approach at each of the three time points: 18.9% in 2002 and unchanged from 2007 to 2012 (17.7%). Whether used independently or as a part of other approaches, deep-breathing exercises were the second most commonly used complementary health approach in 2002 (11.6%), 2007 (12.7%), and 2012 (10.9%). The use of yoga, tai chi, and qi gong increased linearly over the three time points, beginning at 5.8% in 2002, 6.7% in 2007, and 10.1% in 2012. Yoga was the most commonly used of these three approaches at all three time points. The next report presents national estimates of the use of complementary health approaches among children aged 4–17 years in the United States. Selected modalities are compared for 2007 and 2012 to examine changes over time. There was a statistically significant decrease in the use of traditional healers between 2007 (1.1%) and 2012 (0.1%). Due to questionnaire modifications, this should be interpreted with caution. Nonvitamin, nonmineral dietary supplements were the most commonly used modality in both 2007 and 2012. Any homeopathy was used by about 1.8% of children in 2012, while practitioner-based homeopathy was used by only 0.2% of children. The National Center for Health Statistics’ Office of Public Affairs keeps an archive of previously released press releases going back to 1994. The news releases cover the wide range of important and interesting health topics that our data cover. To search these news releases by date or by subject matter, visit the NCHS Press Room and click on the News Release Archives link. Wireless Phone Use Varies Widely Across U.S.